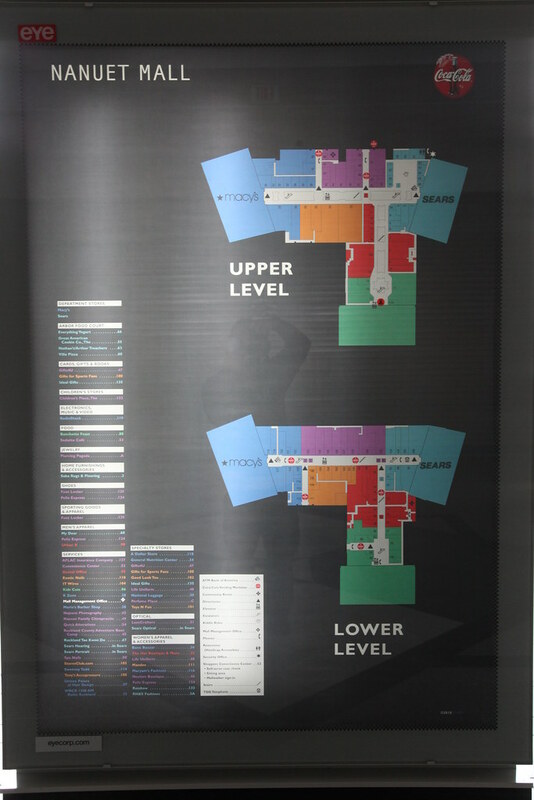 The list of stores used to be much longer, filling the entire left column from top to bottom. The roster included all kinds of big name retailers. But with the market slowly shifting to the Palisades Center, the list steadily shrunk to the bizarre amalgamation of unrelated stores and services it was in its final days.